This product from Rocky Mountain Hunting Calls will make the bugles of a satellite or herd bull. It can cow call with that nasal sound as well. The "Slotted Dome TST" elk diaphragm call is designed to be placed further forward in your mouth, behind your front teeth, this helps to prevent gagging and gives you easier control of the latex. This product from Rocky Mountain Hunting Calls will make the bugles of a satellite or herd bull. It can cow call with that nasal sound as well. 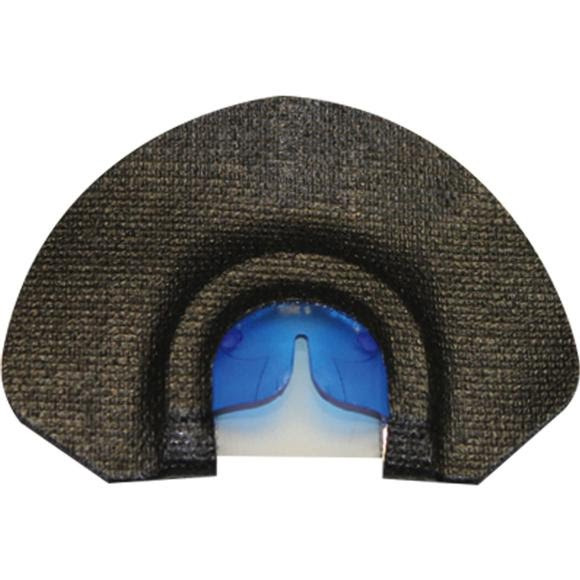 The "Slotted Dome TST" elk diaphragm call is designed to be placed further forward in your mouth, behind your front teeth, this helps to prevent gagging and gives you easier control of the latex. To operate the call, place the "Slotted Dome" upwards to the roof of your mouth, latex down and open end of the diaphragm towards the front of your mouth. The Slotted Chambered Tone Top elk diaphragm call is designed to be placed further forward in your mouth behind your upper front teeth, this helps prevent gagging and gives you easier control of the latex. To operate the call, place the Slotted Chambered Tone Top upwards to the roof of your mouth, latex down and open end of the diaphragm towards the front of your mouth.